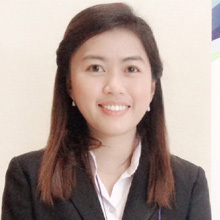 I came from Thailand after I had completed my master degree at Chulalongkorn University. I received a scholarship provided by Japan-East Asia Network of Exchange for Students and Youths Program (JENESYS) for 1 year, in which I had worked with 15 researchers from different nationalities at Kyushu University. I learned and gained much about Japan’s advanced technology in engineering fields as well as Japanese culture and the people thus designed to continue my Ph.D. when I finished the program. About 4 years of my research life in Japan, I realized that I prefer gaining more experience by working in Japan. I wanted to be one of the people who can contribute to a society toward well-being quality of human life and good environment. I recognized that working in Japan, the leading country in technology and economy, is the answer for my hope. I started to find a job in Japan only half a year before my graduation. I think getting a job in Japan is encouraging to improve my ability yet very challenging too especially for a foreigner whose Japanese language is limited. I had hard time in understanding a content of seminar regarding job hunting and recruitment information at a company. In the beginning, I checked websites written in English and submitted an entry sheet in English. I was invited from a few companies for their recruitment process, however still had hard time in taking examinations and interviews n Japanese. For these reasons, I had failed to do well at every applied company. When I was almost giving up my job hunting, I fortunately found the information about hiring Thai students provided by Ryukatsu-net. I was really glad to know this opportunity and sent my CV to them and had Skype meeting with the consultants. I received many useful information and suggestion and applied to their suggested company. During the recruitment process, I received their huge support, which I never expected as I lived far from Tokyo. Finally I got a researcher position from the company and felt really appreciated for their kind support. I would like to work at a global setting and worldwide visions. With my experiences of working with many researchers from different backgrounds, I would like to exchange diverse ideas in a team to build a better society. I also look forward to growing myself up by learning at the specific filed of my company. For those who are foreign students and would like to get a job in Japan, I strongly recommend to consult with Ryukatsu-net. I believe you can find a suitable job with their support. Please try your best, do not give up challenging yourself. I hope everyone will succeed in distributing your ability to our future society. Copyright Originator. All rights reserved.